Sign Posts & Accessories By Street Sign USA! 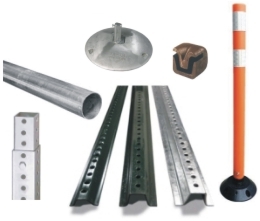 Street Sign USA's complete line of sign posts & accessories including bases. Posts are available in 3 styles, the popular U Channel Sign Post, Round Pipe Post and the Square Post. Mount your signs professionally with our line of sign posts & bases. Choose from painted green or galvanized finishes on U Channels. We carry a complete line of brackets, hardware & tools to complete your post and sign related projects!